Now dubbed the Minotaur-C, the four-stage rocket built and operated by Orbital ATK is standing on a launch pad overlooking the rugged Pacific coastline, ready for a 10-minute trip into orbit set to begin at 2:37 p.m. PDT (5:37 p.m. EDT; 2137 GMT) Tuesday, the opening of a 30-minute window. 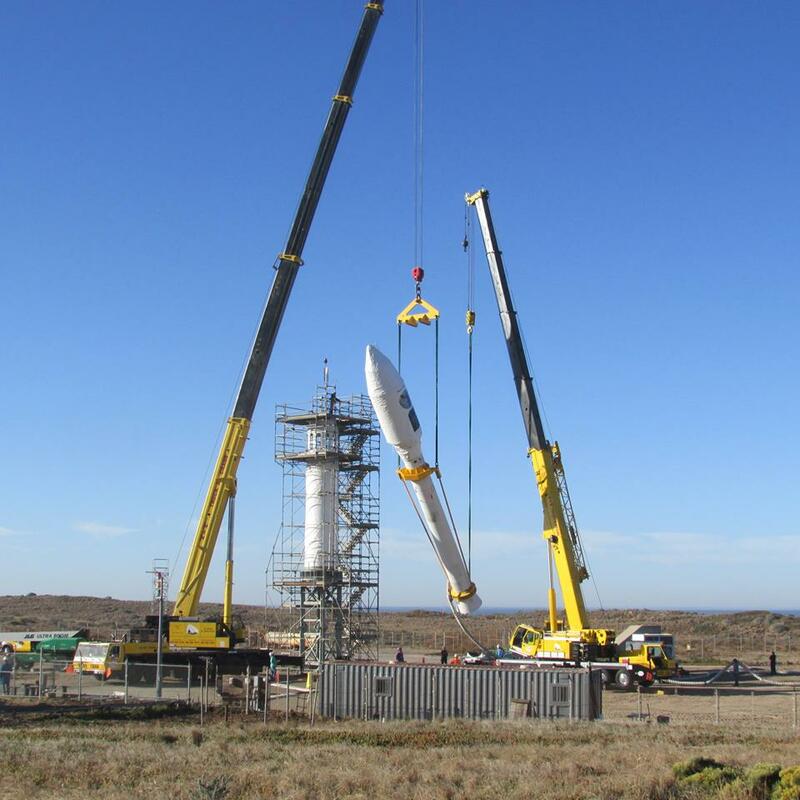 Ground crews spent the last few weeks assembling the rocket at Space Launch Complex 576E, an austere launch pad at Vandenberg that was last used in March 2011 on the most recent Taurus flight. That flight ended in failure, when the Taurus rocket’s payload shroud clung to the vehicle as it climbed into space, preventing NASA’s Glory climate research satellite from reaching orbit. A similar payload fairing failure doomed the previous Taurus flight in 2009, resulting in the loss of another NASA-funded Earth science mission. The payload fairing was supposed to drop away from the top of the rocket in a clamshell-like fashion a few minutes after liftoff. The mishaps prompted NASA to switch the launch of the Taurus rocket’s sole remaining mission to another rocket, leaving the light-class launcher without an assured future. But Orbital ATK, then known as Orbital Sciences, revamped the Taurus program in a bid to keep the launcher active, serving a growing slice of the commercial satellite marketplace that has few good U.S. launch options, at least with rockets that have flown before. The Minotaur-C rocket will place six SkySat spacecraft into orbit 310 miles (500 kilometers) above Earth to record high-definition video and high-resolution optical still imagery of locales around the world. 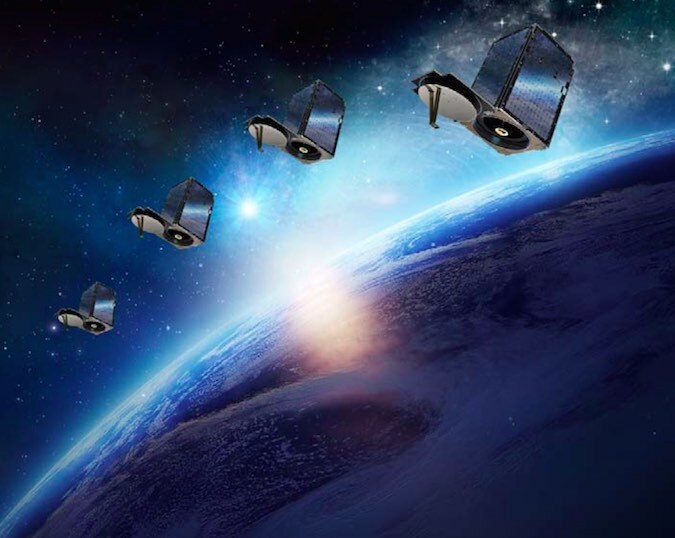 Four smaller Dove CubeSats, known as Flock 3m, will also hitch a ride on the rocket, joining the SkySats in a growing fleet of Earth-observing satellites owned by Planet, a San Francisco-based company whose mission is to image the entire globe every day. Built by Space Systems/Loral, each of the SkySats is about the size of a dorm room refrigerator — measuring 2.5 feet by 2 feet by 2 feet (95 by 60 by 60 centimeters) — and weighs around 242 pounds (110 kilograms). The Doves are built in-house by Planet and are roughly the size of a shoebox. 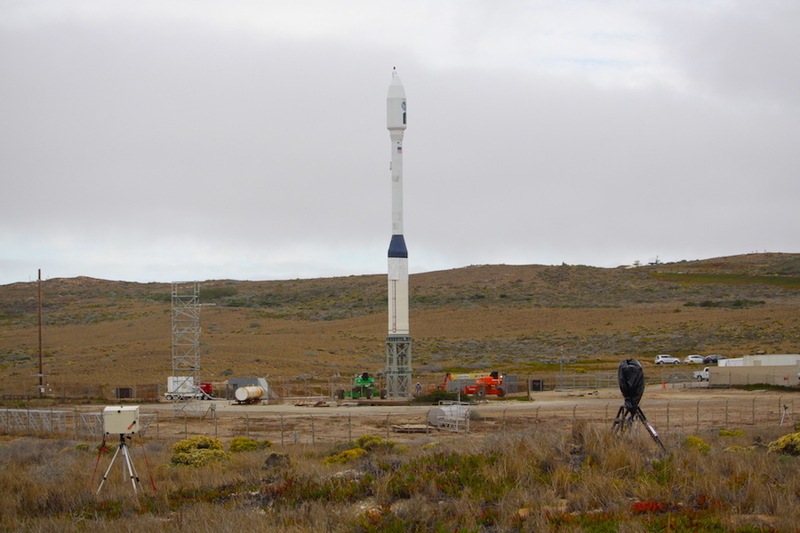 The Minotaur-C rocket launching Tuesday has a different fairing than the Taurus rockets launched in 2009 and 2011. The shroud spans 92 inches (2.3 meters) in diameter, wider than the fairings flown on the last two Taurus rockets. Investigators probing both fairing failures could not settle on a definite cause, but in both cases, the two halves of the shroud remained on the rocket, weighing it down and keeping it from entering orbit. The 92-inch fairing design has performed without fault on Orbital ATK’s Minotaur 4 rocket, most recently in August. While similar in design, its separation mechanism is not identical to the one on the smaller fairing. “All of our missions receive an incredible amount of scrutiny and independent review,” said Phil Joyce, Orbital ATK’s vice president of small launch programs. “We did that twice again for this mission, (with) added layers of additional deep dives and other things not only on the fairing, which has been flight-proven on other vehicles … but everything about the changes that we made to the vehicle to take it from the Taurus to Minotaur-C.
“We feel really good about this launch coming up on Tuesday,” Joyce said in an interview with Spaceflight Now. “So does that make it any less nerve-racking? No, but it’s exciting, and I think we’ve beaten back as many worries as we could have,” Brunschwyler said. Changes from the Taurus XL rocket include modified avionics and guidance systems originally developed for Orbital ATK’s Minotaur 1 and Minotaur 4 boosters, which use decommissioned Minuteman and Peacekeeper missile motors. Officials said sharing engineering teams and components between the Minotaur, Minotaur-C and the company’s air-launched Pegasus rocket will reduce overhead costs. “We do see this part of the market as potentially very significant, so we’re looking and continuing to evolve the Minotaur-C and its propulsion system to drastically reduce the cost of the classic Taurus to what we’re going to be able to offer going forward,” Joyce said. The Minotaur-C’s first stage — called Stage 0 by Orbital ATK — is a Castor 120 rocket motor that is the commercial equivalent of a Peacekeeper first stage. Derivatives of Orbital ATK’s Orion 50 and Orion 38 rocket motors will do the rest of the job of climbing into orbit. The commercially-produced rocket motors are more expensive to prepare for a launch than government-furnished missile components. Government oversight officials have conducted preliminary studies of how retire missile stages could be turned over to commercial launch providers, examining different ways to gauge the cost of the government-owned motors and charge companies for their use. Orbital ATK has sold recent Minotaur 1 and Minotaur 4 missions to the U.S. Defense Department for less than $30 million. While financial details for Tuesday’s mission have not been disclosed, data published in a Government Accountability Office in August pegged a Minotaur-C launch at a cost between $40 million and $50 million. Planet has already launched satellites on the Minotaur-C’s would-be competitors like the PSLV, Vega and the Russian Soyuz rocket. The company’s contract with Orbital ATK was inherited from Terra Bella, which Planet acquired from Google earlier his year. Most of Planet’s satellites are in sun-synchronous-type orbits that fly over imaging targets in the morning. 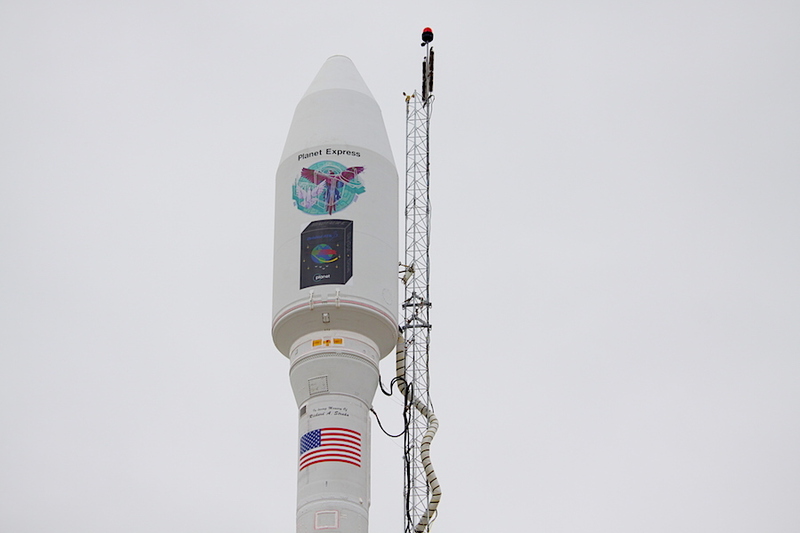 The SkySats and Doves going up Tuesday will be positioned in orbits with afternoon coverage. ECAPS, the Swedish company which builds the SkySat propulsion module, says the high performance green propulsion system offers better performance than conventional hydrazine maneuvering jets, and the units are easier to transport and prepare for launch. The launch of six SkySats on Tuesday will be the biggest deployment of satellites with “green” propulsion in history, officials said. The SkySats collect imagery with resolution as high as 2.6 feet (80 centimeters), not as sharp as pictures from bigger satellites owned by companies like Airbus and DigitalGlobe. But the strength of the multi-satellite constellation is its revisit capability, allowing rapid refresh views of imaging targets around the world, and the video recording capability is a unique offering in the commercial remote sensing market. Planet has launched more than 250 satellites since 2013, some of which have ended their missions. The company said last month that it receives imagery from 160 Dove satellites each day covering 131 million square miles (340 million square kilometers), twice the area of all of Earth’s land masses. Space Systems/Loral is building at least eight more SkySats. 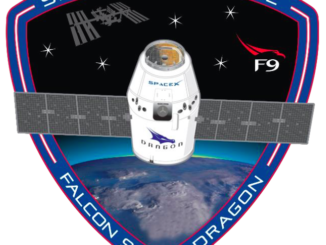 Two of them will launch next year on a rideshare mission to sun-synchronous orbit on a SpaceX Falcon 9 rocket, and Planet is will finalizing launch arrangements for the other six. It will take around 10 minutes for the Minotaur-C rocket to deliver the six SkySats and four Doves to orbit. The first stage Castor 120 rocket motor will propel the 104-foot-tall (32-meter) vehicle off the pad at Vandenberg and guide it to the south, generating more than 400,000 pounds of thrust during a burn lasting nearly one-and-a-half minutes. 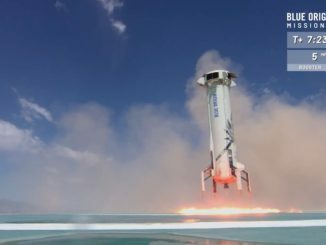 The rocket will coast more than four minutes after burnout of the third stage motor. The Minotaur-C’s Orion 38 fourth stage is scheduled to fire at T+plus 9 minutes, 16 seconds, and complete its burn a little more than a minute later, concluding the powered phase of the mission. The first four SkySats will release from their dispenser at 20-second intervals beginning at T+plus 13 minutes, 22 seconds, followed by separation of a bulkhead at T+plus 15 minutes, 22 seconds, to reveal the other two SkySats for deployment. All six SkySats should be away from the rocket by T+plus 17 minutes, and the Dove CubeSats will separate in pairs before the 20-minute mark of the mission. The Minotaur-C launch team will lose contact with the rocket when it passes out of range of a tracking station shortly before beginning the satellite separation sequence. Officials will confirm the final success of the launch when the SkySats pass over another ground antenna soon after deployment in orbit.